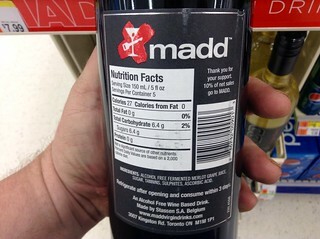 MADD, Mother's Against Drunk Driving Virgin Alcohol Free Wine, Beer, Margaritas and Mojitos. 7/2014 Walgreens. Pics by Mike Mozart of TheToyChannel and JeepersMedia on YouTube.